As Maplin and Toys R Us join a seemingly never-ending parade of high profile retailers tumbling into administration, and with newspapers excitedly proclaiming “the death of the high street”, those looking in from outside the industry (and indeed many within it) would quite rightly think retail is in crisis; recently the phrase “retail apocalypse” earned the dubious distinction of its own entry in Wikipedia. And who is fingered as the prime suspect in the killing of retail? Usually it’s Amazon: the Seattle giant’s thirst for conquest and endless resources claiming another victim who can’t compete on price. Or sometimes, eCommerce in general – “people just don’t visit stores anymore”. Or, if the author is feeling particularly provocative, it’s those pesky millennials, ruining yet another established industry with their unusual spending habits. But the truth? None of the above. Retail’s not dead. In fact, it is undergoing something of a renaissance – just not for everyone. eCommerce is booming, yet 91% of UK retail still takes place in physical stores; there’s a reason Amazon bought Whole Foods. No, the real victims here are the mid-market retailers – those who offer neither extremely low prices, nor a differentiated “premium” shopping experience or luxury product. A recent study by Deloitte found that discount and premium retailers are opening nearly three stores for every one their “balanced” rivals are closing. Not only that, but premium retailers have seen revenue grow a staggering 40 times quicker than that of their mid-market competitors, whilst at the bottom end, Aldi and Lidl have been the most loved brands in the UK for four years running. And those millennials? The same study found that for everyone except the top 5% of millennial earners (i.e., ignoring the Rich Kids of Instagram), their spending habits are no different to other age groups in their income bracket. So what happened to the safe, homogenous, uninspiring proposition that has served retailers so well for 40 years? For a start, the middle class it was designed to serve is shrinking – there are nearly 30% fewer middle-income households in the UK now than in 1980, according to researchers at Oxford University. On top of that, customers have wised up. The future of retail is about understanding that customers have a much wider set of needs, and having the resources, freedom and agility to meet them by any means necessary: telling stories, having shared values, providing experiences and relationships – or just fantastic prices and convenient transactions. Retailers have secretly known this for years, of course – but now their feet are held to the fire; with Amazon knocking at the door, if you’re in the middle, it’s innovate or die. Luckily for them, inspiration can come from anywhere. At GDR, we talk about hundreds of examples every month, from retailers large and small. Like outdoor gear manufacturer Cotopaxi, who use a 24-hour adventure race to sell their customers a socially-conscious, active lifestyle – not just a backpack. At IKEA’s Dining Club popup, guests can prepare their own food for up to 20 guests. Moby is a fully automated convenience store that drives to its customers, on demand. And Walmart are using robots to automate tedious tasks like stock checking, freeing up their human workers to focus on customer service. 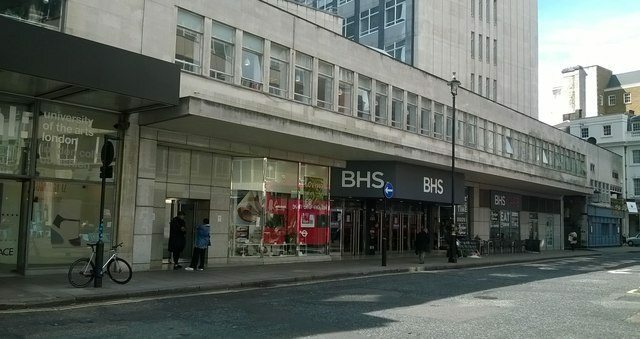 The cavernous former BHS site at Oxford Circus is a perfect example of this transition: the graveyard for a stalwart of UK mid-market retail, now houses a site for urban crazy golf and soon, the largest market food hall in the country – as well as the first UK branch of Reserved, one of Europe’s fastest growing fashion chains. This mix of lifestyle, experience and shopping is a tantalising glimpse of where retail is headed, and there’s never been a better time to get on board. Alex Sbardella is retail technology expert and speaker. To book him or any other speaker please contact JLA.